Delaware Junior Golf Camp "First Tee"
Please call 765-282-3301 for help with your golf needs. 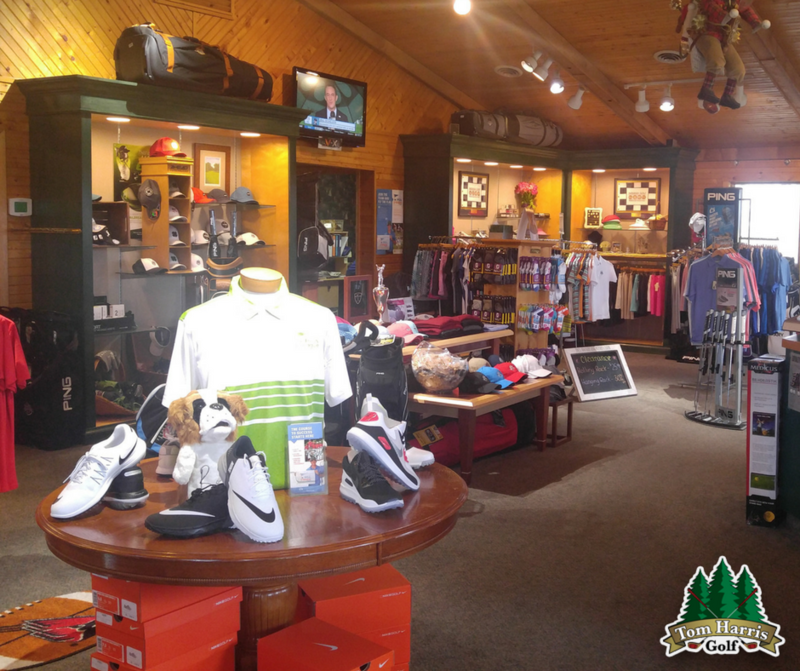 The Tom Harris Golf Shop is a service to the members of Delaware Country Club and the community of Muncie. Our staff prides itself in offering the finest in golf apparel and equipment. Whether you are planning to upgrade your equipment or add the latest styles to your wardrobe, no shop in the Muncie area offers such a complete array. Wonderful apparel lines include; casual attire perfect for the dinner out, golf apparel and equipment representing the latest in technical benefits and of course the classic good looks you would expect on and off the golf course. Equipment offerings include custom fit golf equipment from driver to putter, the latest in distance devices, golf shoe and golf bag selections from the leading manufacturers and many accessories that are perfect for gift giving. Ping, Titleist, Mizuno and Callaway are all represented in our shop and custom fitted for your game. Free gift wrap is always offered on any merchandise purchases and we are also happy to provide you UPS shipping for any of your gift giving needs. Please stop in or call to keep up with all the new products as we continually restock our shop. Our shop is open to members of Delaware Country Club and the public. Gift cards and gift certificates are always available for the hard to buy for person in your life. The golf shop offers LOGO APPAREL and GOLF BALLS for your company needs! Let us save you money on your corporate marketing efforts that involve golf apparel and golf equipment. For a full list of customizeable golf ball prices, click here. Please call 765-282-3301 for more information.